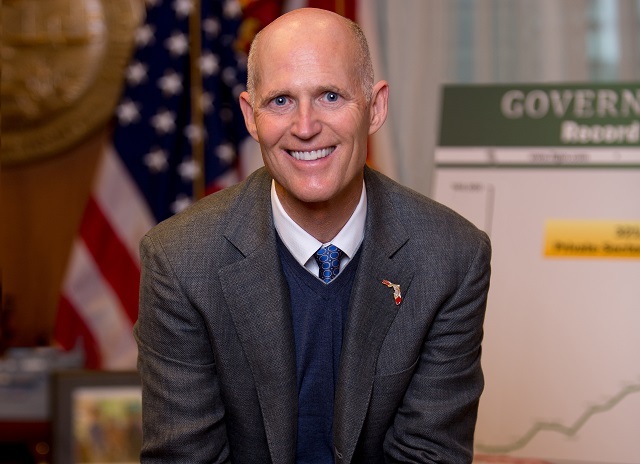 TALLAHASSEE, Florida - Florida Governor Rick Scott signed a law which permits arming non-classroom teacher school employees, raises the age to buy all types of firearms from 18 to 21, bans bump-stocks, and provides funding for school resource officers and youth mental health counseling. The law also creates “Risk Protection Orders” which allows a court to prohibit a violent or mentally ill individual from purchasing or possessing a firearm or any other weapon. It also allows law enforcement to seize firearms when a person has been detained under the “Baker Act” and prohibits a person who has been “adjudicated mentally defective” or who has been “committed to a mental institution” from owning or possessing a firearm. Criminal penalties for individuals who make threats to schools, such as social media threats of shootings or bombings were also enhanced under the new law. The Marjory Stoneman Douglas High School Public Safety Act also provides $99 million for school hardening measures such as metal detectors, bulletproof glass, steel doors and upgraded locks. The Brevard Public Schools administration applauded the action taken by Governor Rick Scott. “I’m proud of our state leaders’ courage to consider recommendations from both sides of the aisle for the greater good,” said BPS Superintendent Desmond Blackburn. Brevard County Sheriff Wayne Ivey and Blackburn announced their intention to arm school employees before the act was passed. With the exception of Volusia County, all other Central Florida school districts are opposed to arming school employees.